Since opening its doors in 2017, the St Vincent de Paul Society’s Cornerstone program has helped more 200 people experiencing homelessness on the Gold Coast. Source: The Catholic Leader. Housing shortages on the Gold Coast have put more than 1000 people at risk of sleeping without a roof over their head and Department of Housing statistics show there are 1700 people waiting for government housing in the area. 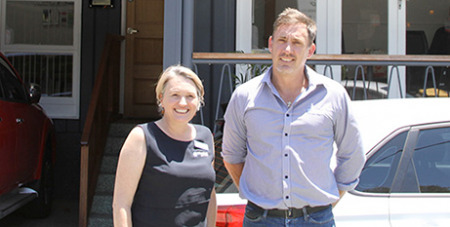 Cornerstone program director Michael Eklom said the organisation had become a well-known service provider for the growing number of Gold Coast people living without homes. Finding homes for people is a more difficult prospect for Cornerstone. At any time there can be up to 500 people applying for one place. “We make contact with everybody who comes through the front door. We work pretty tirelessly to try and get to everybody we can. So we don’t currently have a wait list. “We have access to a counsellor here that’s free, so people can access counselling ... We also have access to GPs, psychologists, psychiatrists and legal aid.